English actor Robert Coote (b. London, February 4, 1909; d. New York City, November 26, 1982), who was largely based in the United States after 1936, played (usually pompous) aristocratic or military British types, almost always in supporting roles, in over sixty films, Broadway shows, and television plays. 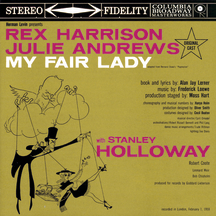 He is best remembered for creating, and recording on the original cast album, the role of Colonel Pickering in the Broadway production of My Fair Lady. 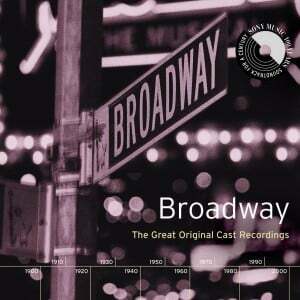 His performance earned him a nomination for the 1957 Tony Award® as Best Supporting or Featured Actor in a Musical. Robert’s father was Bert Coote, author of a children’s play, The Windmill Man, very popular in early twentieth-century England. Coote was sent to Hurstpierpoint College in Sussex, but left at the age of sixteen to join a touring repertory company. The company spent a season playing Shakespeare in South Africa and visited Australia. Returning to Britain, Coote made a stage debut at the Victoria Palace in 1931 as the King in his father’s play. Small roles in two or three films followed. By the mid-1930s Coote was in Hollywood. His first big role, as a flight lieutenant, in Rangle River (1936) was as close as he ever came to a romantic lead or top billing. He appeared with Ramon Novarro in The Sheik Steps Out (1937), Robert Taylor in A Yank at Oxford (1938), and Cary Grant and Douglas Fairbanks, Jr., in Gunga Din (1939). Coote originated the role of Colonel Pickering in My Fair Lady in 1956; although the show broke box-office records with its run of 2,717 performances, he left the cast in early 1958 to resume film-making. Two delightful British comedies, The Horse’s Mouth (UK 1958) with Alec Guinness, and The League of Gentlemen (UK 1960) with Jack Hawkins, included Robert Coote on their rosters. Although Coote’s role as Pickering was given to rival Britisher Wilfrid Hyde-White in the film version of My Fair Lady, Coote returned to it in the Broadway revival twenty years later. Coote was again part of an original winning combination as King Pellinore in Lerner and Loewe’s next big hit, Camelot (1960–1963). Leaving the show in 1962, he did not return to Broadway until the short-lived The Jockey Club Stakes in 1973. 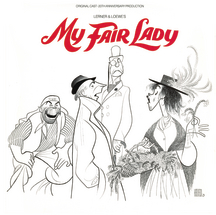 After the Fair Lady revival, he appeared in New York only briefly as a replacement in Bedroom Farce (1979). His television schedule, however, was busier than ever: for his performances as Timmy St. Clair in the NBC-TV series The Rogues (1964–1965) he received a nomination for an Emmy Award®, and he was to appear regularly in two more notable series, The Whitehall Worrier (1967) and Nero Wolfe (1981). In Coote’s last feature film, he portrayed one of Vincent Price’s murder victims in Theatre of Blood (1973). Robert Coote died peacefully in his sleep while staying at the New York Athletic Club.